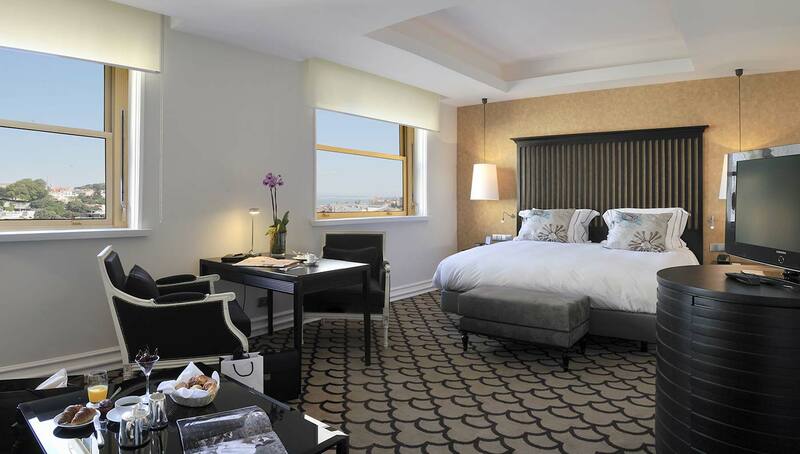 Housed in a 1930s building on Avenida da Liberdade, this 5-star luxury hotel boasts a rooftop bar with panoramic Lisbon views. It offers an outdoor round pool and 2 restaurants. pacious sun terrace framed by a green garden. 300 selections, and panoramic views. Prices from €499 which includes a lot more than a normal city break !! Located on the 1st to 5th floors of the hotel with an area of approximately 20m2, these rooms have double or twin beds. They have views of Avenida da Liberdade or our interior patio. The 199 Classic Rooms have a living area with comfortable armchairs and coffee table, executive desk and a bathroom in marble. The design of these rooms has a classical touch and are decorated in subtle shades. Situated between the first and the fifth floor, these rooms offer a fantastic view over the historic and elegant Avenida da Liberdade avenue. These double and twin rooms encompass approximately 20m² and also include a living area with comfortable armchairs, a coffee table and an executive desk. The rooms have a traditional décor with subtle shades, while the bathrooms are finished in marble. Internet Access and coffee making facilities are also available. The 10 Junior Suites each cover a generous 40 m2 in area and have two distinct sections. The living area has a double sofa, table and chairs, television, Nespresso coffee machine, mini-bar and even an executive working area. The sleeping area has a double bed and LCD TV while the spacious bathroom rounds off this category of rooms. 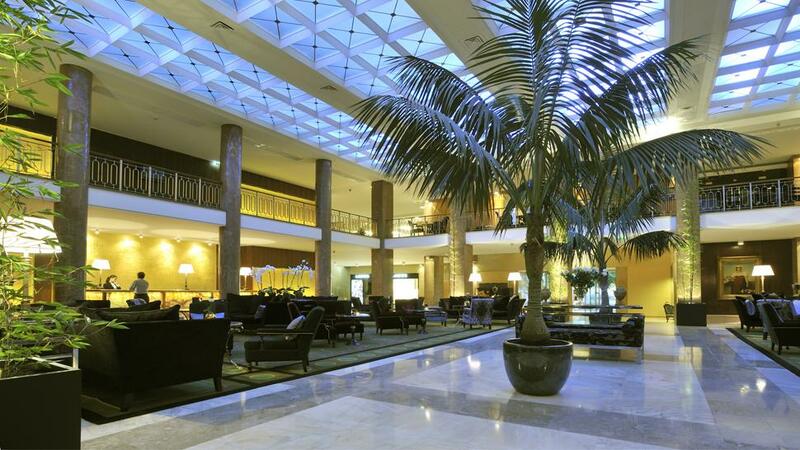 Located on Avenida da Liberdade, right in the heart of Lisbon, Tivoli Lisboa is an elegant 5 star hotel. Renowned for its business meeting facilities for top executives, Tivoli Lisboa continues the tradition of being a well known meeting point in the city. A weekend break in this luxury hotel means you can enjoy a drink in the privacy of the Terraço Bar with a superb view over Lisbon, or take a moment to relax in the Tivoli Caffè. We suggest a visit to our lively Brasserie Flo Lisbon restaurant which satisfies even the most discerning of palates. At the Terraço restaurant enjoy the selection of stylish dishes, accompanied by a unique view over the city of Lisbon.